Sebastian Vettel reduced Lewis Hamilton’s championship lead to 17 points after sealing a commanding victory in Belgium on Sunday. 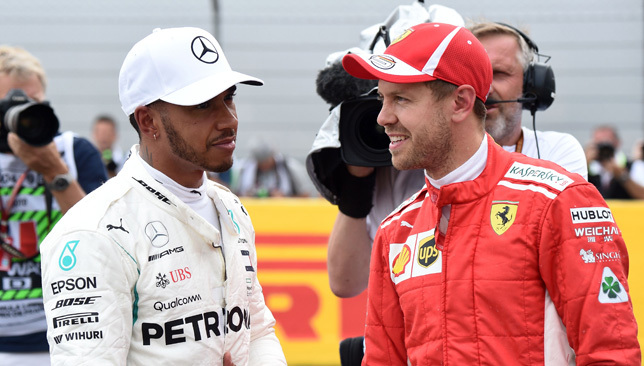 Both drivers are four-time world champions and are battling it out to become only the third man after Juan Manuel Fangio and Michael Schumacher to win a fifth world title. And with eight races to go in the championship, we take a look at the success and form of both drivers at the remaining circuits. Hamilton: On past form, the Briton has won four out of the last six races in Monza, and remains the man to beat as he inches closer to another world crown. Vettel: The German has been playing catch up on his rival, with three wins, the last of which came five years ago with Red Bull. The Italian marque, remarkably, have not tasted success at their home race since Fernando Alonso in 2010. Other drivers: Alonso has won twice (2007 and 2010), but is unlikely to come anywhere close to a podium finish in his struggling McLaren. The Red Bull duo of Max Verstappen and Daniel Ricciardo finished second and third respectively last year, and should be in with a shout of challenging for a spot on the podium next weekend. Hamilton: The four-time world champion drove a masterful race last year to seal his third win around the street circuit. But four wins since 2008 proves how much of a struggle it has been for Mercedes on a slow track that rather suits Red Bull or Ferrari. Vettel: A dominant venue for the 31-year-old, who has triumphed four times in his last seven appearances at Marina Bay. Quickest in qualifying last year, he crashed out on the first lap and will be determined to avenge that disappointment. Other drivers: Alonso, again, is a two-time winner here but has not clinched victory in Singapore in seven years, while Ricciardo has collected four successive podiums since 2014. Hamilton: Every previous race in Sochi has ended with a Mercedes victory, with the Englishman taking wins in 2014 and 2015. In 2017, he struggled with overheating and could only manage fourth place. Vettel: He may not have won in Russia, but Vettel has three second place finishes from four races and will be relishing the prospect of pushing the Mercedes on a track that isn’t renowned for its overtaking. 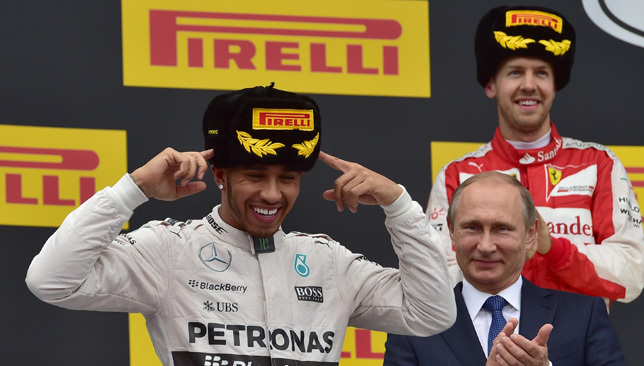 Other drivers: Valtteri Bottas claimed a maiden win in Russia last year, while Kimi Raikkonen has podiumed in the last two races. Hamilton: The Suzuka track is another Asian circuit that has been dominated by Mercedes in recent years, with four consecutive wins, three of which have been secured by the 33-year-old. Vettel: The four-time world champion has recorded four wins in Japan – the same as Hamilton – but the Prancing Horse have not tasted victory there since Michael Schumacher in 2004. The German suffered a decisive championship blow last year when he was forced to retire with engine failure. Other drivers: Verstappen placed second in 2016 and 2017 and should be a threat along with his Red Bull teammate Ricciardo who has struggled with form of late. Hamilton: Possibly his most successful track with five wins from the last six races. His drive last year was one of his most commanding of the season. Vettel: Won with Red Bull in 2013 but has only managed two second place finishes since then. The Ferrari, itself, has not won in Texas since Schumacher in 2006. Can they finally break their duck? Other drivers: Ricciardo has scored two podiums at the Circuit of the Americas since 2014 and remains the other best finisher besides the two title rivals. Hamilton: Although Mercedes have won the last two races in Mexico City, it is not normally a track suited to their W09 model with the thin air meaning the wings of their car produce less downforce. Vettel: The Swiss resident has never finished on the podium in Mexico, with Ferrari’s last win coming way back in 1990 when Alain Prost was behind the wheel for the Maranello outfit. Vettel needs to try and inflict maximum damage here. Other drivers: Verstappen scorched to victory last year, while Bottas delivered podium finishes in 2015 and 2017. Hamilton: Has only won once at Interlagos, but last year cannot be a true reflection as he had the title wrapped up already and didn’t look that bothered, despite starting from the pitlane and soaring to a formidable fourth place. 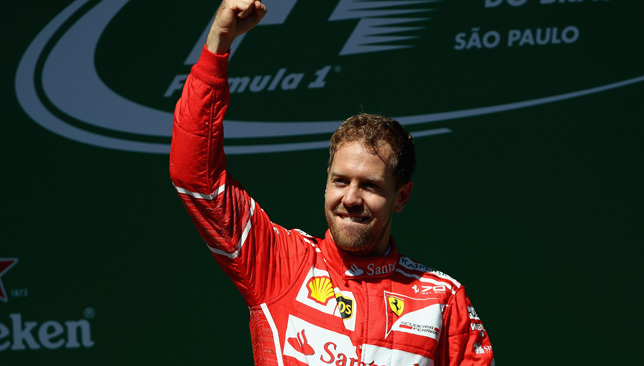 Vettel: Controlled the race from start to finish last year to deliver his third win in Brazil. If the title race is still alive at this point, the Heppenheim native needs to stamp his authority heading into the final race in Abu Dhabi. Other drivers: Bottas, Raikkonen and Verstappen have all finished on the podium over the last two years and should challenge for a similar position in this edition of the race. Hamilton: It’s hard to see anything but a Mercedes win at Yas Marina Circuit, with Hamilton consistently quick around the sweeping UAE track. With three wins in the last seven years, the Monaco resident is sure to capitalise around the tight twists on the final section of the track. Vettel: Ferrari have never won in the capital, with Vettel’s three scalps all coming during his time at Red Bull. But in the quicker SF70H model, the Italian side could benefit on the long straights. Other drivers: Bottas and Raikkonen share one win each in Abu Dhabi, and are likely to finish on the podium at the season-ending race. Charles Leclerc paid tribute to Formula One’s controversial safety device, the ‘halo’, after he avoided a potentially major injury at the Belgian Grand Prix on Sunday. Sebastian Vettel finished 11 seconds clear of rival Lewis Hamilton to win at the Spa-Francorchamps Circuit and reduce the championship deficit to 17 points. But his commanding victory was overshadowed by an opening-corner collision which sent Fernando Alonso airborne and within inches of Sauber driver Leclerc’s head. Rookie Leclerc, who has impressed in his first season, was saved by the sport’s new safety design. Indeed, images of Leclerc’s white halo – the three-pronged cockpit protection device which sits above the driver and became mandatory this season – later emerged to reveal the black marks of Alonso’s McLaren. “I have never been a fan of the halo but I have to say that I was very happy to have it over my head today,” Leclerc, 20, said. Following a series of high-profile motor racing accidents in the past decade, the halo was pushed through by the FIA, F1’s governing body, for this year. Mercedes team principal Toto Wolff said at their car launch in February that he wanted to take a chainsaw to the device. 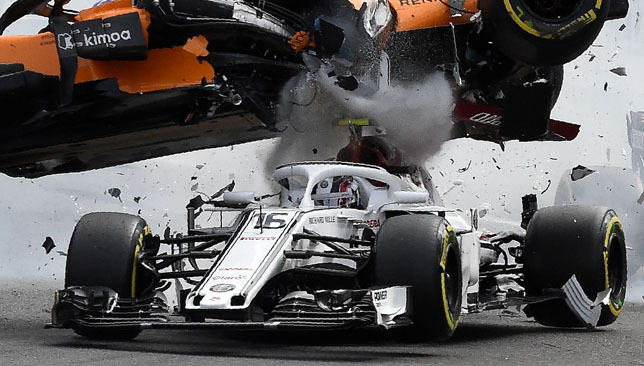 The dramatic collision was caused by Nico Hulkenberg after the experienced Renault driver missed his braking point at La Source and, in a plume of tyre smoke, careered into the back of Alonso. The force of the impact launched the double world champion skywards before his McLaren landed on the helpless Leclerc, and then on the tarmac. Miraculously, all three men walked away completely unscathed. “I flew over Leclerc’s car and the halo was a very good thing to have today,” Alonso, 37, said. “Looking at the replay I think it helped him. Hulkenberg admitted fault for the incident and was given a 10-place grid penalty for the next race in Italy. He was also hit with three points on his driver’s licence. “Nico totally missed the braking point and he played bowling with us,” Alonso added. 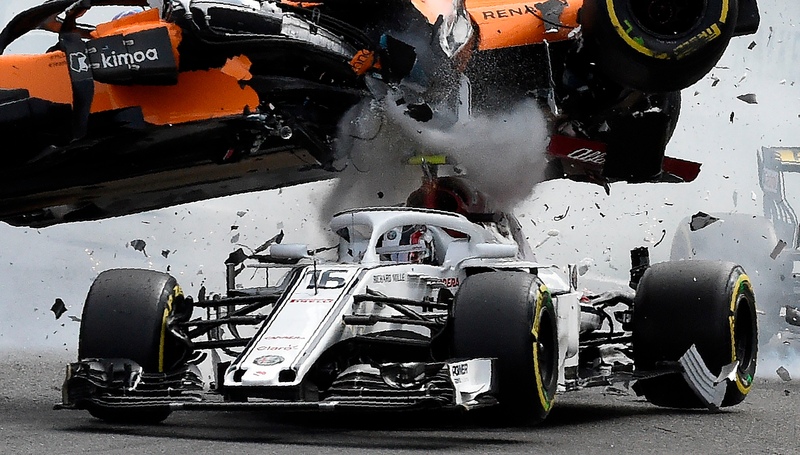 Fernando Alonso said Formula One’s new halo device saved Charles Leclerc from serious injury following their terrifying crash at the Belgian Grand Prix. Sebastian Vettel finished 11 seconds clear of Lewis Hamilton to win on the sport’s return to action at Spa-Francorchamps and reduce the championship deficit to 17 points. But the Ferrari driver’s commanding victory was overshadowed by Alonso’s opening-corner smash in which the Spaniard was sent airborne and within inches of Sauber driver Leclerc’s head. Images of Leclerc’s white halo, the three-pronged cockpit protection device which sits above the driver and became mandatory this season – later emerged to reveal the black marks of Alonso’s McLaren. The force of the impact launched the double world champion skywards before his McLaren landed on the helpless Leclerc, and then on the tarmac. Miraculously, however, all three men walked away completely unscathed. “I flew over Leclerc’s car and the halo was a very good thing to have today,” Alonso, 37, said. “Looking at the replay I think it helped him. Team principal Toto Wolff, who revealed at Mercedes’ car launch in February that he wanted to take a chainsaw to the halo, said: “As you know, I am not a fan of it because I think the aesthetics are terrible. Hulkenberg admitted fault for the incident and was given a 10-place grid penalty for the next race in Italy. He was also hit with three points on his drivers’ licence. The halo was controversially introduced following a series of high-profile accidents in the past decade. Leclerc, the highly-rated 20-year-old who has impressed in his rookie season and is set to race for Ferrari in the future, revealed his mother, Pascale, called him several times after the incident. “Everyone was quite worried,” the Monegasque said. “My physio sent a picture to my mum so she knew I was fine. Regarding the incident, he added: “It all went very quickly and in the moment you don’t realise what is happening. There was nothing fortunate about Vettel’s win. 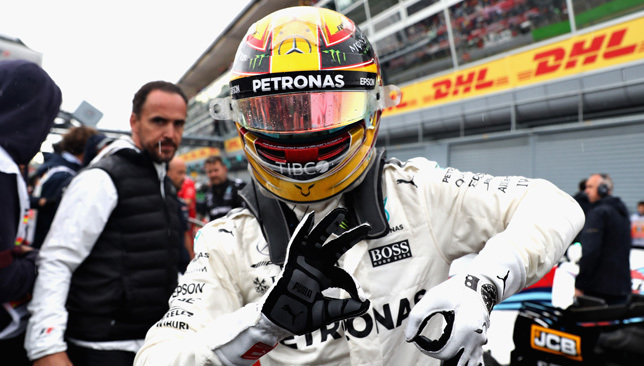 Following back-to-back victories for Hamilton before the summer break, the German needed to stop the rot in the first race after the summer break. On Saturday, Hamilton took advantage of a rain shower in qualifying to secure the front slot on the grid, but Vettel won the race by moving past his rival on the first lap. Hamilton held off Vettel at La Source but then he was unable to stop the Ferrari car from sailing past him on the ensuing Kemmel Straight. Vettel came under pressure from Hamilton at the right-handed Les Combes but the Ferrari man held the racing line to retain the lead. 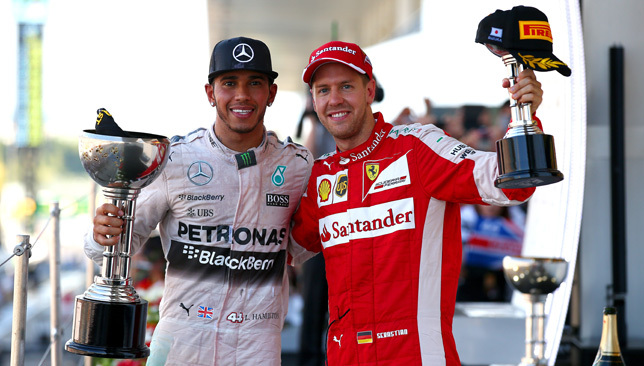 He held off Hamilton again when the race resumed following the safety car, and then cruised to the chequered flag.